Strong powers can underplay their hands and afford to make mistakes. Weak powers, on the other hand, need to exaggerate their power and be far more precise in its use. Power is like money; the less you have, the more you need to flaunt it and the fewer mistakes you can afford to make. But by trying to convince others that they have more power than they actually do, they run the risk of squandering a scarce resource. It’s nearly impossible to both flaunt power and preserve it at the same time. This is the core strategic problem of Russia. On the one hand, it is still trying to find its way more than 25 years after the collapse of the Soviet Union, an event President Vladimir Putin has referred to as “the greatest political catastrophe” of the 20th century. In the lives of nations, a quarter of a century is not very long, and the reverberations of the catastrophe are still being felt. On the other hand, Russia lives in a complex and dangerous region, and appearing weak can be the biggest threat to its well-being. Therefore, like a wealthy person coming into hard times, Russia must simultaneously try to appear more powerful than it is and meticulously manage what power it has. Since the fall of the Soviet Union, Russia has faced two fundamental problems. The first is geographic. The second, which we’ll return to later, is economic. In the long run, clashes on the LoC serve no purpose. Pakistan should know that it cannot alter geography nor sustain militancy in the Valley for long. India must realise war-mongering does no good. Both the nations should seek to rediscover the usefulness of the 2003 ceasefire agreement for enduring peace. THE escalating tension and killing exchange of fire at the Line of Control that divides Jammu and Kashmir between India and Pakistan is nothing but a lose-all proposition. No one gains from these clashes which have become a regular feature since 2008 — five years after the armies of India and Pakistan were able to seal a historic ceasefire agreement on the borders. 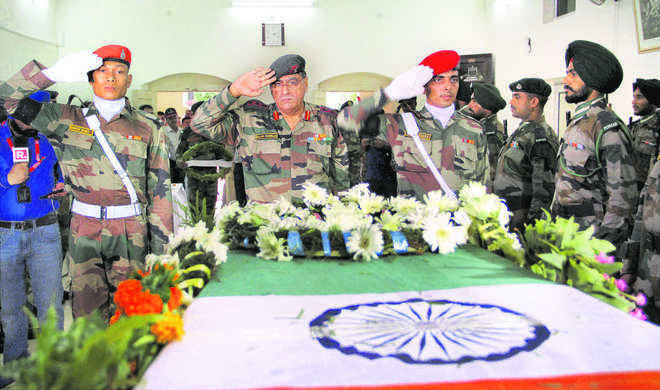 It was to cease hostile activities on the LoC that had resulted in action and loss of lives until 2003. As the things stand today, soldiers and civilians from both sides have been killed. Hundreds of people have fled border villages as their homes and fields receive the raining mortar shells and gunfire. Schools have been shut. A tragedy of unknown proportions was averted on July 18 when the Army, police and civil administration evacuated more than 200 children from schools. They were trapped because of unrelenting shelling by Pakistani troops in Nowshera villages in the Rajouri district of Jammu and Kashmir. Nobody would have owned the tragedy that was, fortunately, averted by the administration's timely action. India would have claimed that its villages were shelled by Pakistan and the latter would have made a counter-claim that it was retaliating to unprovoked fire from the Indian side. Both sides accuse each other of opening unprovoked fire and claim they only retaliate. If the two sides are to be believed, neither side initiates gunfire. However, this is not a fact. Visuals of children and young persons throwing stones at their own security persons and getting injured, could disturb sensitive citizens in any country. In Jammu & Kashmir, it has been standardised as an ‘approved’ mean of protest by the unscrupulous. This must be a singular instance in which those responsible for burning schools are not booked for sedition and put behind bars. Flush with funds from Pakistan, Saudi Arabia and elsewhere, they indulge in perpetrating violence on a daily basis, sniffing lives out of innocent citizens and security personnel. Their frequent bandh calls inflict immense hardships and misery on every citizen, particularly children and the daily wage earners, small shopkeepers and all those who earn their daily bread through minor jobs. Sadly enough, the state presents a picture of helplessness, unable to constrain the activities of known miscreants. They spread religious hatred and; against all norms of humanity; resist relocation of Kashmiri Pandits. What an irony that the perpetrators of inhuman and heinous crimes get Government security and perks. India's China-challenge is mounting with Beijing's growing power, its swelling hubris and increasing acts of bullying. China is utterly self-centred in its thinking and considers its self-defined interests paramount. It decides unilaterally the scope of its sovereign rights and, based on its own version of history and facts, determines when they are being violated. It uses offensive and undignified language in diplomatic communications, exposing the crude facet of China's ruling class. All these reprehensible traits are visible in its dealings with India. To take only the recent years into account, there has been a spate of serious provocations against India. New Delhi has absorbed these blows and preferred engagement to confrontation for many reasons, not the least because of the expanding power gap with China and the realization that the cost of aggravated tensions would be higher for India than for China. This has only encouraged China to be patronizing in its dealings with India and to brush aside its legitimate concerns. This has happened even as the two countries have maintained regular contact at the top leadership-level, with numerous meetings, whether bilateral, during international conferences, or within the Russia-India-China format or the format of BRICS. Therefore, it is not lack of contact or communication at the highest levels that would explain China's objectionable behaviour towards India. Is Pakistan’s Democracy Back to Square One? The process of democratic restoration in Pakistan will continue to face roadblocks unless civilian forces join hands. Pakistani Prime Minister Nawaz Sharif is in a serious situation after the Joint Investigation Team (JIT) found that the ruling family has been living beyond its means and has failed to provide a legitimate trail of its investments abroad. The JIT is investigating corruption allegations involving the Sharif family’s role in money laundering and tax evasion, which were disclosed in the Panama Paperslast year. The findings of the JIT are not just damning for the ruling party, but also for the country’s democracy. It has become evident that the report, which appears to be politically motivated, is going to pit the country’s various civil institutions against each other. The ruling party that previously welcomed the Supreme Court’s verdict of asking for a further probe has now completely rejected the JIT’s report by terming it biased, politically motivated, and formulated to serve the agenda of Pakistan’s enemies. Meanwhile, the opposition, which seldom reconciles on any national or strategic issue, has come together to ask for Sharif’s resignation. Both India and China have every incentive not to go to war. In New Delhi the rhetoric is similarly tough. For instance, when Beijing invoked the 1962 war and its humiliation for India, Defense Minister Arun Jaitley replied that “India of 2017 is different from India of 1962.” Likewise, General Bipin Rawat, India’s chief of army staff also acknowledged the possibility of an Indo-China war and said that the”Indian Army is fully ready for a two and a half front war.” The government’s recent authorization of the army to make an emergency purchases of ammunition, stores, and spares for several weapon platforms also point toward an impending short, intense war between India and China. Taking it further, some policy observers have directly compared the current standoff with 1962 by casting new actors and settings; Narendra Modi and Bipin Rawat instead of Jawaharlal Nehru and B.M. Kaul, and Doklam in place of Dhola Post. WASHINGTON: The US Army has blown billions on weapons that never got built, so Congress is understandably wary of funding Army modernization. A senior Hill aide told us today that if the service wants money to modernize, it must convince Congress that its requests are in response to a specific threat the legislators care about, namely Russia. Making that case is a challenge for the Army, which as the largest service with the widest range of missions has an institutional fondness for vague, abstract and unchallenging language. But, said Doug Bush, a former Army officer now with the Democratic staff on the House Armed Services Committee, Congress has found the cash when the Army’s made a clear and specific case. “Once it became specific…the floodgates opened on the money,” Bush told me after he spoke to the Center for Strategic & International Studies here, a rare on-the-record appearance. For example, armored vehicle upgrades — like a bigger gun for the 8×8 Stryker vehicle, or Active Protection Systems (APS) to jam or shoot down incoming missiles — could potentially benefit Army forces in any theater, but they’re most urgently needed in Europe against massive Russian mechanized formations. Once the Army made that linkage clear to lawmakers, the projects got funded. Rinat Akhmetshin, the mysterious Russian-American who attended the June 2016 meeting at which Donald Trump Jr. arrived expecting dirt on Hillary Clinton from Moscow, seems to be a sideshow. But his handiwork — finding and, with diabolical precision, disseminating incriminating records — is a reminder of the important difference between Russian and American tactics in the new age of intelligent cyber-war. The key takeaway: With its cyber strategy, the U.S. has been fixated on the potential for paralyzing attacks on critical infrastructure such as the electricity grid, and establishing international norms against them. But that left the U.S. blinkered when Russia, seeking strategic advantage, carried out an old-fashioned information roundhouse, tweaked for the cyber age with intelligent fake news bots. How we got here: For reasons of the free flow of information, the U.S., going back to the Clinton administration in the late 1990s, has resisted attempts by Russia and China to impose restrictions on the Internet. The strategy wasn't wrong-headed per se — a successful attack on U.S. energy systems, for example, could trigger mayhem in the civilian population. But, in its suspicions about Russian and Chinese motives, it failed to consider the big picture. A full-blown war with North Korea would be “catastrophic,” Defense Secretary Jim Mattis has said more than once. A war, he says, would be “more serious in terms of human suffering than anything we’ve seen since 1953,” the year the Korean War ended with an armistice, not a peace treaty. When fighting ended in the last war on July 27, 1953, almost 3 million people, military and civilian, had died on all sides, including 36,574 U.S. troops. This time could be almost as bad, military experts say. “To initiate military options takes you from a world of zero casualties to a world of tens of thousands in a best case, and quite possibly a million or more, especially if they use nuclear weapons,” said Michael O’Hanlon, a senior foreign policy fellow at the Brookings Institution. This ‘Alpha in Depth’ report uses open-source research to identify and characterise entities involved in India’s strategic weapons programme. Relatively little analysis has been conducted since the US normalised relations with India and lifted the majority of sanctions by 2005 – 2008. This report aims to update the record on Indian entities and will be of interest to government and private sector customers dealing with proliferation issues, particularly with regards to sensitive and dual-use items headed for end-users in India. This baseline study examines the visible activity of 243 entities that have contributed to India’s strategic nuclear and missile programmes as key weapon stakeholders, unsafeguarded nuclear fuel cycle entities, defence supply chain entities, developers of auxiliary systems such as vehicles, and entities conducted dual-use research of concern. In many cases, entities are openly known to be major stakeholders in strategic weapons programmes. However, this report finds a wider and deeper network of suppliers and researchers involved in this system. The extent of this network is laid bare in this report, and includes more than the original list of entities designated as involved in nuclear and missile activities by the US in 1998 – 2001. This collection of essays focuses on the Lebanon War, which broke out on 12 July 2006, and its impact on Israel and Lebanon. Some of the topics covered include 1) changes in the strategic environment in Lebanon and the Middle East prior to 2006; 2) Israel's strategic approach to the war; 3) the perception of the conflict in the US; 4) the lessons the Israel Defense Forces learned from the war; 5) media discourse about the war in Israel between 2006 and 2016; 6) the political environment in Lebanon over the last decade; 7) what another Israeli war against Lebanon could look like, and more. Image Credit: Northrop Grumman CorporationResearch and development of laser weapons began in the mid-20th century. Countless failed attempts ensued, and for quite some time the only suitable military tasks for lasers were for range-finders and target acquisition. As technology breakthroughs brought forth the anticipation that lethal lasers could soon be commissioned, Protocol IV of the Geneva Convention, adopted on October 13, 1995, in Vienna, established a pre-emptive ban on blinding laser weapons. Development of energy-directed weapons, however, continued with the purpose of dazzling enemy craft and destroying boats, vehicles, drones and missiles. Long before the development of Protocol IV the United State military invested in the development of directed energy weapons. In the 1960s the U.S. Department of Defense provided a $1 million grant to the Technical Research Group (TRG) for research on laser weapons. This grant was quickly followed by countless programs and funding to several other entities. Early attempts to manufacture energy-directed weapons, however, failed for a number of reasons including the inability to focus a concentrated beam, inefficient energy transfer, and ineffective thermal dissipation. The collapse this month of the Islamic State, also known as ISIS, has been greeted with joy and relief in many quarters, especially among the millions of civilians who directly suffered the extremist group’s rule. Much of the predictable analysis has focused on long-term trends that will continue to trouble the world: the resonance of extremist jihadi messaging, the persistence of sectarian conflict, the difficulty of holding together disparate coalitions like the clumsy behemoth that ousted ISIS from its strongholds in Raqqa and Mosul. But jihadis and sectarians are not, contrary to popular belief, the most important engines of ISIS, Al Qaeda, and similar groups. Nor are foreign spy services the primary author of these apocalyptic movements — as many around the world wrongly believe. No, the most critical factor feeding jihadi movements is the collapse of effective central governments — a trend in which the West, especially the United States, has been complicit. An overdue alliance of convenience mobilized against the Islamic State three years ago, but only after leader Abu Bakr al-Baghdadi had taken over enough territory to declare statehood. The ISIS caliphate was as much as a state — for as long as it lasted — as many other places in the Middle East. Most of the coalition members detested ISIS, but only the local members from Iraq and Syria whose families were dying or suffering under Islamic State rule were fully invested. For the rest of the anti-ISIS coalition, fighting the caliphate was one of many other priorities. Can a radical approach to weapons development help the Pentagon cope with uncertainty and improve military effectiveness? 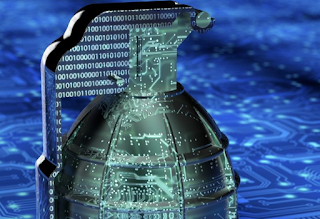 Over the past several years, the topics of decentralization of military capabilities and the rate of technological change have captured the attention of many in the defense community. As Gen. Joe Dunford, the chairman of the Joint Chiefs of Staff, observed in early 2017, “The character of war in the 21st century has changed, and if we fail to keep pace with the speed of war, we will lose the ability to compete.” These changes raise the question of how the U.S. defense community can prepare best for the uncertainty posed by the future. Specifically, current U.S. military doctrine assumes an economy and industrial base that can mass-produce high-end weapons, such as fighter aircraft, battle tanks, long range missiles, and ships. But can the U.S. economy and industrial base deliver? American defense planners may need to dramatically revise the U.S. defense procurement system to serve a hedging approach emphasizing rapid prototyping. On the basis of an exploration of how uncertainty affects defense planning, I offer a possible solution for managing the risks inherent in current U.S. defense policies. Obvious trends point to a digital economic future, as US politicians talk about 3% – 5% annual economic growth rates. Aside from the difficultly of increasing the growth rates of mature economies, there’s only one way to achieve 3% – 5% growth rates – and that path does not include re-opening coal mines or re-populating non-automated factories. Russian media played a key role in stoking the conflict in Ukraine, sparking fear in the Baltic states that they could become the next target. In the wake of the Euromaidan protests in Ukraine, Russian state-owned media shaped a nationalistic narrativeregarding the annexation of Crimea that spread fear of the new Ukrainian regime and promoted reunification with Russia. Russian media also encouraged the separatist movement in eastern Ukraine and spread multiple false news stories intended to portray Ukraine in the most negative light possible. 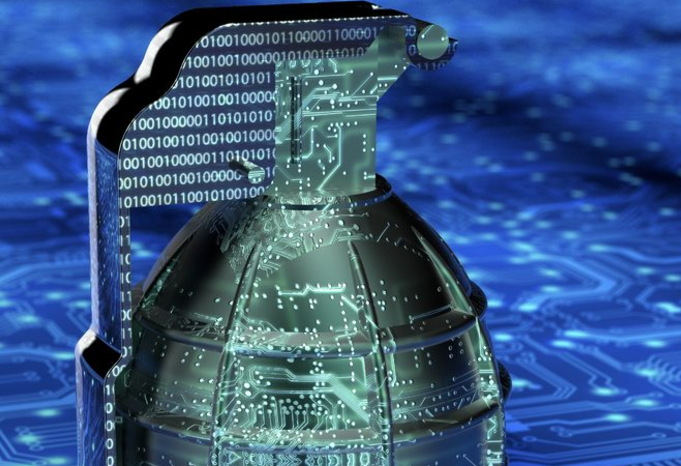 After what one senior official called “25 years of inattention,” the Defense Department is pushing ahead to make its defensive and offensive electronic warfare capabilities more robust. “There is an appreciation on the dependency of our electronic warfare capabilities [and] to make sure that the force — all the platforms — are survivable. I think that appreciation is very real and very substantial,” William Conley, deputy director of electronic warfare in the office of the undersecretary of defense for acquisitions, technology and logistics, said during a recent Mitchell Institute speech. “The foot is fully on the gas pedal” when it comes to catching up on EW capabilities, he said. Electronic warfare is among the fields that the Pentagon has identified as part of the “third offset” — a collection of battlefield technologies that the U.S. military must master in order to leap ahead of potential adversaries. 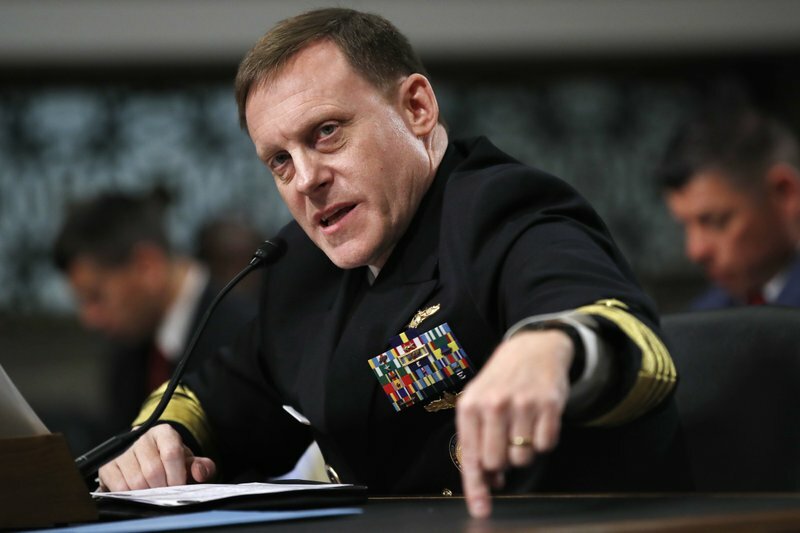 A newly passed bill in the House Intelligence Committee directs the Intelligence Community inspector general to review the IC’s role the disclosure process of cyber vulnerabilities. Following such a review, the House bill mandates a report 240 days after becoming law about the results of the review to include a description of the IC’s roles and responsibilities within this process, the criteria used by the federal government in making a determination, when and with whom to disclose vulnerabilities, a description of current mechanisms overseeing the process, and recommendations to improve the efficiency, effectiveness and accountability.